I`m not trading with private inventory profiles!!! - I do CS:GO Trading. 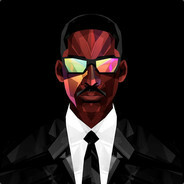 - 3 Years of steam(2 on this profile). - In 3 years I have never been reported for anything , my trade record is clean. - I AM 5 LEVEL ON STEAM. - I am friendly and patient,so I expect the same from you. I GOT SCAMMED! What can I do? Can I get back my items? a) Create a steam support ticket. Hope that steam support takes pity on your plight. b) Middlemen and such are not afilliated with Valve so watch out who are you giving your items to. Just a usefull tip , if you happen to get scammed.